I can't get ahold of anyone in charge of the parade, so since it is 37 degrees and pouring, I am CANCELLING the FMB's performance today. Please spread the word to your friends who may not have internet access. Thanks for your flexibility and preparation. See you all on Monday. The parade is still on. Come prepared for the elements and have your music memorized. School is open at 11AM. I will have raincoats available at line up at FES 12noon. Support Us By Eating at BW3! We earn 15% of what you spend. 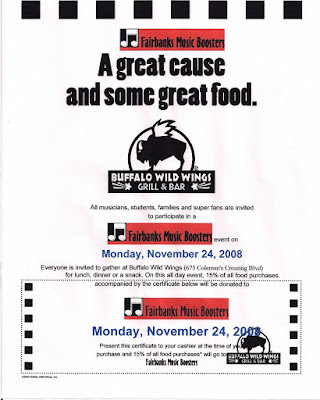 Click the pic to enlarge, or print the coupon and eat up. Mmmmmm. Wings. This is just a friendly reminder that all fundraising money is now past due. Please be sure you put your money in the enclosed envelope (or any envelope with your name on it) and turn it in to Mr. Keller or Mr. Jerew as soon as possible. Make checks payable to Fairbanks Band and try to reduce change if possible. I'm out ill today. Please be on your best behavior for Mr. Jerew. I hope to be back tomorrow. I will be in my office Thursday until 3-4:30 and 5-7 PM and will be available for walk-in conferences. Please feel free to walk right in if you have questions about your student's progress in band, choir, or general music. The monthly business meeting of the Fairbanks Music Boosters will be held Wednesday, November 12 at 6 PM at the Buck Ridge Golf Course clubhouse. If you have questions, please contact Mary Ellen Garwood. Just a reminder that pep band sign ups continue through Wenesday, 11/12. Please put your name on the list on my window. Tshirt order forms will be available sometime next week! No other changes at this time. Thank you for the high quality of your challenge performances. I will be in my office tonight until 6:30 and available for walk-in conferences. Please feel free to walk right in if you have questions about your student's progress in band, choir, or general music. I will also be at next week's conferences for middle and high schools. Mr. Jerew and I were listening to Franz Liszt's Hungarian Rhapsody No. 2 today and decided to look up the sheet music online and follow along. Ever have any doubt that composers are geniuses? After looking and listening to this, I hope you agree Liszt was an exceptional composer and performer of the highest degree. 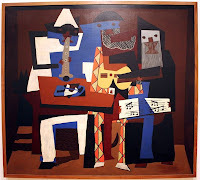 You can download the sheet music (public domain) by clicking here. You can buy the recording at either iTunes or Amazon for only $.99. It's worth it. I tell you! You'll be humming it all day long. All Band members are asked to attend BOTH rehearsals. • All band members in grades 7-12 are eligible to participate in Basketball Pep Band. Attendance is expected at all rehearsals and performances. Levy Results: You Did It!!!! The Fairbanks operating levy passed last night 1887 to 1775. That is a difference of 112 votes. Thanks to the entire Fairbanks community for reaching into their stretched pocketbooks to give up the small additional amount to keep our schools running in the excellent manner that you and our students have come to expect. Keeping my fingers crossed. 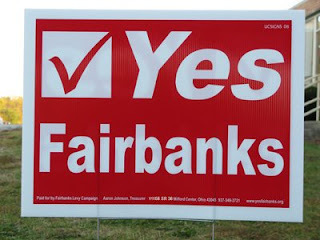 Thanks to everyone who cast their "yes" vote for our Fairbanks students! I want to start this pre-election post by reminding you to vote tomorrow, November 4, if you have not already done so. Remember that if you choose not to choose, you still have made a choice. Make your choice count!Secondly, I want to give my personal testimony about the Fairbanks emergency levy renewal and addition which comes before the voters this election season. I urge you to join me and please vote "yes" on the school levy. As a resident of the district, a parent of two Fairbanks students, and as a faculty member on our fine staff, I have a unique insight into the state of our district. I can attest that the quality of education provided here is one of the finest around. Districts of comparable size in central Ohio can't hold a candle to the expertise of our faculty and the educational atmosphere present here at Fairbanks. *Be sure to deliver or refrigerate all cheese and sausage products promptly. They do not contain preservatives and will spoil easily. *Have customers make checks payable to Fairbanks Band, or if you prefer, have them make checks payable to you and then write one check to Fairbanks Band. Cash is also accepted. If you include cash, please reduce change whenever possible. *If customers are not satisfied in any way with their products, do not return the item to me. Have them call the 800 number on the product and a replacement or refund will be sent directly to them. *All money is due no later than November 8. 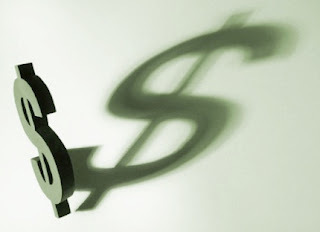 Please return your money in a timely manner. Do not place envelopes of cash or checks in my mailbox or sit them on my desk. Be sure to hand your envelope directly to myself or Mr. Jerew. *If there are missing or incorrect items in your order, please notify me promptly so the correct item can be ordered as soon as possible. Due to the rush at the end of the period on Friday, I forgot to post the challenge sheet in a timely manner. To compensate, challenges will remain open today if you wish to declare. You must still notify the person you are challenging by the end of the day in person, and you must sign up on the list on the office window. Challenges will still take place this Friday, November 7, and will be performed live for me (not videotaped). Please be prepared!